Archives for April 2011 | Your Health. Your Lifestyle. 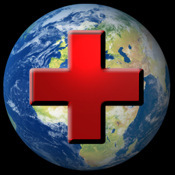 Experts are calling for global health-system reforms. They say the rising global burden of chronic diseases, such as heart disease, cancer and diabetes, needs a coordinated effort from policy makers, advocates and health professionals. The authors of the special communication published in The Journal of the American Medical Association say chronic diseases are the leading cause of death worldwide. In 2002, cardiovascular disease caused 17 million deaths. Another 7 million were from cancer, 4 million from chronic lung disease, and 1 million from diabetes mellitus. They say these numbers are only expected to increase substantially over the next two decades. The majority of these chronic diseases are affecting people in developing countries. The authors note, “Between 1990 and 2020, mortality from ischemic heart disease in developing countries is expected to increase by 120 percent for women and 137 percent for men.” They believe this is due, in part, to rising risk factors for chronic diseases, such as smoking, alcohol use, and obesity levels. The authors make the point that chronic diseases are not replacing acute infectious ones. Instead, they are causing a double burden. For example, India has the highest number of diabetics in the world and annual coronary deaths are expected to reach 2 million by 2010. At the same time, around 2.5 million children in India die from infections like pneumonia, diarrhea and malaria every year. The health services in these countries are being strained by the double burden because they have inadequate financing and lack of manpower. The authors conclude, “Decision makers need to be fully informed with the up-to-date evidence about the burden and impacts of chronic disease.” They say the health systems in these developing countries need to be realigned to accommodate diagnosis and prevention of chronic disease, which includes intensified attention on tobacco use, unhealthy diets, and physical activity. A recent study shows an iron supplement for anemia and treatment for malaria help motor and language development in African children. Anemia, or the occurrence of too few red blood cells in the bloodstream, results in lower oxygen flow to the muscles, tissues and organs. Because less oxygen circulates, anemia is thought to lead to both motor and language developmental problems in children. Researchers from around the world tested the efficacy of iron supplement to treat anemia and, likewise, help in the development of affected children. Researchers tested about 600 children in Zanzibar, Africa, aged 6 to 59 months. Ninety-seven percent were anemic while 18 percent were classified as severely anemic. Signs of malaria, a parasitic disease, were also nearly universal. Researchers gave a 20mg supplement of iron or a placebo to children for one year. For children who were severely anemic, researchers also gave oral iron tablets for 30 days in addition to the first iron supplement. Lastly, treatment for malaria consisted of a tablet of mebendazole, a medication commonly used in veterinary practice to combat parasitic infections. One group received mebendazole while another took a placebo. After one year, researchers tested motor and language development of the children. They found iron supplements significantly improved iron levels and also improved language development and motor development. Secondly, researchers found mebendazole significantly reduced the number and severity of various parasitic infections, but did not significantly affect developmental progress. While researchers acknowledge the need to determine a specific dosage of treatment, researchers say their study shows long-term treatment with oral iron and using mebendazole could help combat anemia and malaria. The vacation of our dreams. . . unparalleled beauty — and an escape from our lives back home. But the reality of health care in many of those idyllic spots is enough to make a grown man scared. As an executive, Holt travels the globe. He’s about to fly to west Africa, where hepatitis and malaria are commonplace. So he’s getting a battery of immunizations well ahead of time. If you don’t want to fill up half your suitcase, get sample sizes of protection including anti-diarrhea medicines, motion sickness pills and pain relief medicine such as aspirin. A couple of other tips. If you’re taking a prescription, take along twice as much as needed. Keep half with you, half in your suitcase. And with food — if you didn’t see it boiled or it’s not well-done, don’t eat it. Research shows herbal therapies are increasing in popularity. In fact, a landmark study in this field in 1997 showed the number of visits to alternative practitioners was estimated to be 629 million. That exceeded the number of visits to all primary care doctors that year. * Acne – Effective herbs include witch hazel, fruit acids, tea tree oil and vitex. * Wounds and Burns – Aloe vera is effective in treating both; honey accelerates wound healing and marigold acts as an antiseptic to heal wounds. * Herpes – Balm, a lemon-scented member of the mint family, can help treat herpes and other wounds. Licorice and hibiscus are also effective. * Psoriasis – Traditional Chinese Medicine (TCM) has received attention for its effects on this condition. Aloe vera and capsaicin (main ingredient in cayenne pepper) also improve it. A new study shows adding a new medication to the standard treatment of Multiple Sclerosis (MS) may help better control the disease. Doctors at the University of Baltimore and Brown University in Rhode Island say adding an immunosuppressive drug to the routine treatment of MS is well tolerated by patients. Within the last decade, there have been three major medications available to MS patients: Betaseron, Avonex and Copaxone. Doctors say all three effectively treat the disease, but many patients still need more. In this study of 16 people, doctors treated patients with the drug methotrexate and Avonex. Previous studies show methotrexate is safe and effective in patients with psoriasis, rheumatoid arthritis and inflammatory bowel disease. None of the 16 patients reported any serious side effects. The most common effect was nausea, which lasted for 24 hours after the drug was given. The doctors say, not only is the drug well tolerated, but it also appears to reduce the number of lesions visible on an MRI by 44 percent. No one is sure what causes MS but it occurs when the body’s immune system mistakenly attacks the protective myelin sheath surrounding nerve fibers in the brain and spine. Symptoms of MS include muscle weakness and stiffness, balance and coordination problems, numbness and vision disturbances. Doctors hope this small study will open the door for further research into combining medications to help patients with their disease. It can happen overnight. You go to bed with normal hearing and wake up nearly deaf. 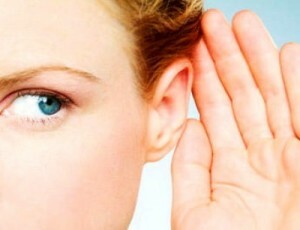 Within weeks you may lose your hearing altogether. There is no cure for autoimmune inner ear disease, but there may be a way to slow it down. Lisa hears the same tone we do, but it sounds different in her ears. In her right ear she hears constant static. Her left feels like she’s under water. Much of her hearing vanished overnight. The damage is deep within her ear. Lisa has AIED, or autoimmune inner ear disease. Her immune system is attacking her inner ear. It mistakenly thinks there’s a virus or bacterium there. Lisa’s best hope is the chemotherapy drug, methotrexate. She and others nationwide are participating in testing of the drug on AIED. Cancer patients were the first to notice an added benefit. The three-year study will include blood tests that may explain what brings on this disease virtually overnight. Lisa and her husband, Don, know this drug may not improve her hearing. Yet even if it saves what little she has left, it will help them keep communicating. Researchers say the drug can potentially cause liver toxicity, hair loss and loss of appetite, but they say these are reversible when treatment with the drug is stopped or decreased.